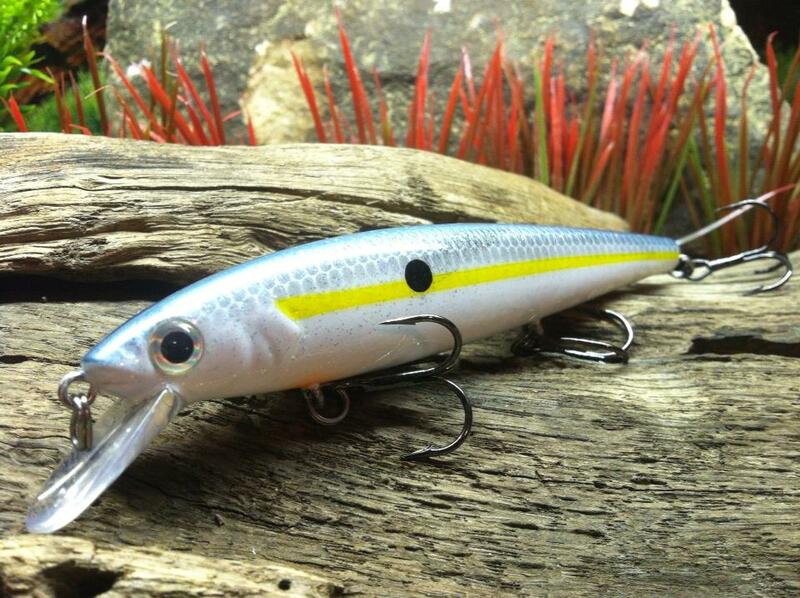 What is the key to success when fishing a jerkbait in the winter? The answer is learning how to get the right action, the right vibration and a flash that will capture a bass attention. In this blog we will discuss some more cold-water jerkbait tips. 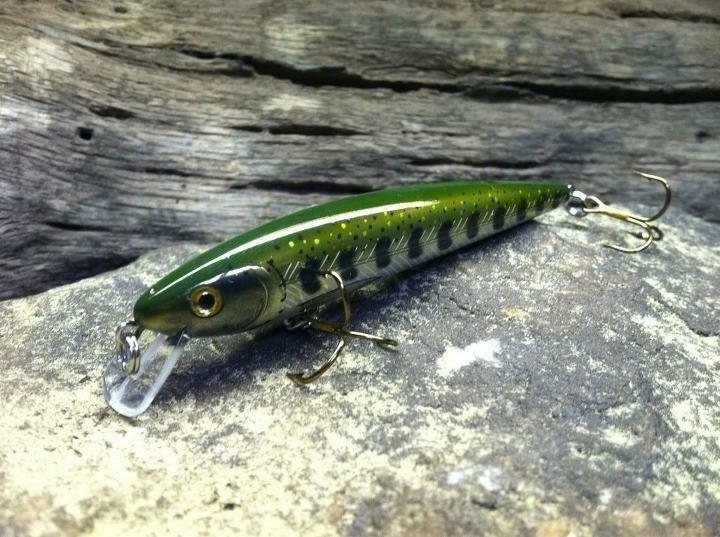 My friend Joey Monteleone of Tennessee Wild Side?s Reel Tips shared this new jerkbait with me and it is definitely worth a mention for cold water bass. The new Strike King KVD "Slashbait", designed by Kevin VanDam and he tested this bait for more than two years before he was satisfied with its unique action. This jerkbait has a wide side-to-side travel when jerked on a slack line and the erratic wiggle and darting action are uncanny. The weight transfer system assists with longer cast. There are two sizes, the 200 series with two treble hooks, and the larger 300 series features three treble hooks to provide adequate "match the hatch" opportunity in size and with the many available colors. 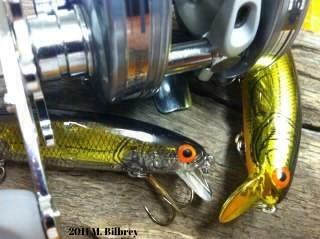 Suspending jerkbaits like this one will find their way into many cold water anglers tackle box this winter. 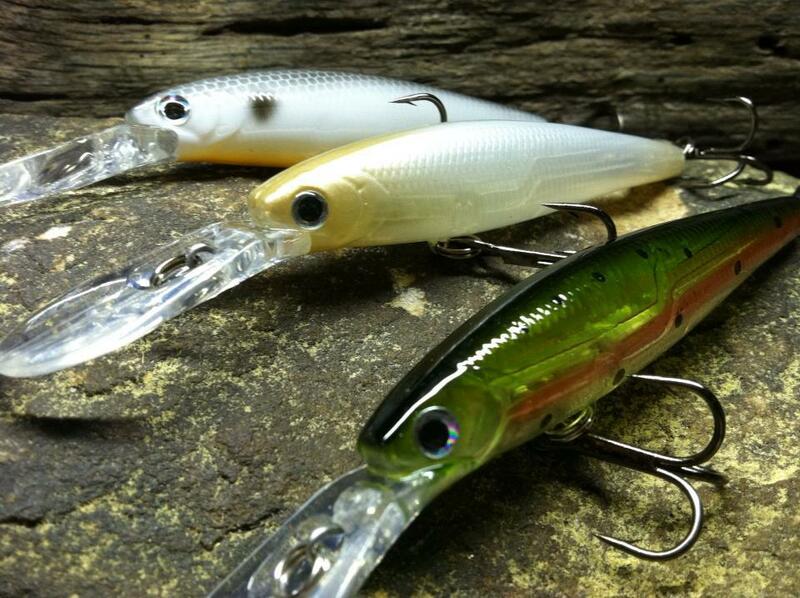 Many other manufactures such as Bomber (right), FishHouse Lures (below) and many more manufacture amazing jerkbaits, all with unique innovations, such as Smithwick Rattlin' Rogue (top) signature sound, and all have impressive designs and spectrums of colors. Whichever bait you chose, the secret to a successful jerkbait presentation is not the color or size of the lure, but it is the action that makes all of the difference. When retrieving a jerkbait in cold water correctly, the bait will rapidly accelerate forward or 'jerk' and then come to an abrupt stop, suspending in the water column like a cold lethargic and startled minnow trying to flee from a predator. This will trigger and instinctive reaction to feed in the bass. When you begin using a jerkbait you need to understand that a proper presentation is not a relaxed, inattentive method of fishing. You must fish the bait constantly. This is not difficult but can be tiring on the wrist. If you are not familiar with fishing a jerkbait it is a good idea to learn to fish them when fishing conditions are perfect. Try using it first during the pre-spawn when water temperature is from 50 ? 54 degrees. Usually in March or April, when fish are shallow and feeding and casting a jerkbait until you get a good feel for the action of the lure, and you will catch bass while practicing.